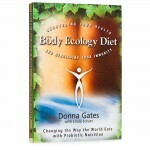 The Body Ecology Diet (BED) was developed by Donna Gates to address the issue of systemic fungal infections. The BED has been used to address issues of ulcerative colitis, Crohn’s disease, various autoimmune diseases, and immune system issues, including AIDS. 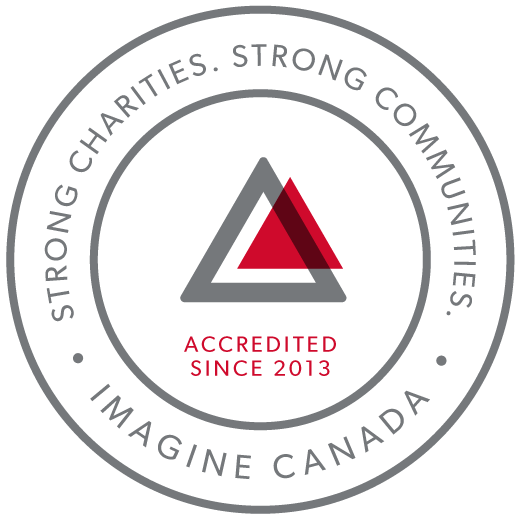 Beginning in 2003, it has also been used experimentally in the autism community. Anecdotal reports tell us that the first group of children with autism trying this diet all showed rapid and remarkable improvement. The theory behind BED is that most chronic diseases, including autism, are a cascade of events. It starts with a fungal infection in the gut and then the pathogenic organisms escape the intestines to invade the rest of the body. The end result is essentially an infected gut, and in the case of autism, an infected brain. The wounded gut is unable to perform its job as the first line of defense for the immune system (leading to various secondary illnesses), it is unable to contain incompletely digested nutrients inside the gut wall (leading to allergic reactions), and it is unable to properly absorb nutrients to nourish the body (leading to nutritional deficiency, weakened inner organs and biochemical dysregulation). The Expansion/Contraction Principle: This is a principle from macrobiotics, which looks at the energetic properties of food. Certain foods are seen as contracting, such as meat, eggs and salt. Other foods are seen as expanding, such as sugar. The BED encourages primary food selection from the middle of this continuum, emphasizing lots of vegetables. The Acid/Alkaline Principle: This is a commonly understood principle in alternative medicine/nutrition. The ideal situation is where the blood is kept slightly on the alkaline side of the normal range. This is thought to discourage the growth of systemic Candida and also discourage the growth and spread of cancer. It is suggested that every meal contain 20% acid-forming foods and 80% alkaline-forming foods. The Uniqueness Principle: This principle acknowledges that one size does not fit all in diets. Some people do better on a slightly higher percentage of protein in their diet than others, and some people seem to do better with animal protein than others. The principles of the blood type diet can be used to help guide food choices that might be better for one person versus another, although Ms. Gates does not agree with all of the newer principles introduced by the younger Dr. D’Adamo. The Cleansing Principle: This principle states that we must be continually cleansing to attain and maintain good health. Modern-day living is full of exposures to toxins and these toxins must be continuously removed. Regular bowel cleansing is recommended to assist with this process. The Food Combining Principle: This principle is taken from the work of Dr. William Howard Hay, who discovered this principle in the early 20th century. The basic premise is that different macronutrients need different conditions in the stomach to be properly digested. For example, protein requires a high-acid environment. Starch, on the other hand, requires a more alkaline environment to digest properly. If you mix starch and protein in a single meal, the stomach cannot properly set the conditions to digest, so it cannot do a good job with either component. By eating fruit separately, and separating starch and protein into separate meals, you increase the efficiency of digestion and reduce unwanted fermentation. The 80/20 Principle: This principle is taken from Oriental medicine, which states that you should never eat more than 80% of your stomach capacity in one meal. This leaves you with 20% of your stomach empty, giving it room to properly mix the meal with enzymes and acid. The Step by Step Principle: This principle states that healing comes in steps which happen in their own time and their own order. When a person is really sick, they may not have the healing capacity to handle a full-blown healing crisis. So the body will go through cycles of progress followed by a rest period. Each step will get deeper into the body and pull out toxins as well as heal the affected organs. By healing the gut, reestablishing the healthy microflora, and providing the body with nutritious foods, the body is then able to build itself up to the point that it can then begin to detoxify. The liver becomes “unstuck” and is able to do its job of removing the toxins from the body. The gut will allow the nutrients through to feed the brain, thyroid and adrenals to begin detoxifying and healing. The BED has several “magic foods” which are specifically aimed at reestablishing the intestinal flora and healing the body. The first therapeutic probiotic food introduced in the BED is Young Coconut Kefir. This is made using the juice of the young coconut (not to be confused with coconut milk, which comes from a mature coconut and is nutritionally very different). This juice is then fermented with kefir starter for 36-48 hours. The fermentation process eats up the natural sugars in the juice, makes the minerals in the juice much more bioavailable, and leaves a drink filled with probiotic organisms and cleansing substances. The kefir starter, in additional to many beneficial bacteria, also has probiotic yeast, which is much hardier than the bacterial species, and is very effective at kicking the detrimental yeast out of the body. The minerals are made available to the body to help start the healing process, and the good bacteria are escorted into the gut to gain a foothold. However, the gut is often still inflamed at this point from the activity of the pathogenic microorganisms, making it very difficult for the probiotic strains to adhere. The second therapeutic food introduced in the BED is raw butter. Butter is made almost entirely of milk fat, with vitamins A, D, E and a short-chain fat called butyric acid, which is very healing to the gut. In addition, raw grass-fed butter contains large amounts of conjugated linoleic acid (CLA) and an additional fatty substance called “factor x” by Weston A. Price, which is particularly high in butter from springtime milk. Butter is a 99% casein-free food, meaning it does have a small amount of casein in it. This has been a concern to many of the parents starting the BED from a completely GFCF diet. It has been the experience of the BED staff that when butter is introduced four to seven days after starting the coconut kefir, that the small amount of residual casein does not usually cause a problem. In fact, the butter seems to really jump-start the healing process. But the BED can be done completely casein free for children who do react to a small amount of residual casein. The BED also focuses on the use of healthy, natural foods kept as close to their natural state as possible. It consists of large amounts of vegetables, meats, eggs, good fats, and Celtic sea salt and herbs for seasoning. The grains recommended in the BED are quinoa, amaranth, buckwheat and millet. All of these grains are gluten-free, and whereas other grains are acid-forming, these help to alkalinize the body, another goal of the BED. BED staff who work with children with autism anecdotally observe a mental fog lifting about day ten into the diet. There is often a noticeable dumping of toxins into the bowels, after which there is a huge jump in overall function. The details of the diet can be found in the book The Body Ecology Diet by Donna Gates. Additional information, including helpful products for implementing the diet, can be found at the Body Ecology Diet website.